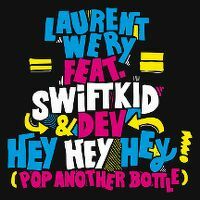 Video Edit 3:05 Hey Hey Hey (Pop Another Bottle) [Promo] 541 / N.E.W.S. 3:00 Top Selection 14 541 / N.E.W.S. 3:29 NRJ Extravadance 23 541 / N.E.W.S. Chuckie Club Mix 5:13 Serious Beats 68 541 / N.E.W.S. 3:45 In Extremix 2011.3 541 / N.E.W.S. 3:04 Topradio - De blijvers 541 / N.E.W.S. 3:04 MNM Party 2019 Vol. 1 541 / N.E.W.S. waarom wery nu deze plaat voor een 2e keer uitbrengt ( misschien heel licht aangepast hier of daar) snap ik toch ook niet goed. Moet dit echt? Hoeveel keer denkt 'Laurent Wery' dit nummer nog uit te brengen??? 3de keer, goede keer moet Laurent Wéry gedacht hebben. Het deuntje van My Sound wordt voor de derde keer lichtjes gewijzigd uitgebracht. Nu hoopt hij op een wereldhit dankzij Dev (Far*east movement). Ik kan Wéry zijn muziek wel apprecieren, maar drie keer is echt wel teveel van het goede. ▒ Overbodig en goedkoop !!! Meteen afstraffen ☺!!! Thanks, but no thanks. I already heard, loathed and got over my deep loathing of Like A G6, I don't need any wannabes for that song. And more Dev? Ewwww. Plump und überflüssig, aufgerundete 2.5*. Best version is the one without Dev. Echt grottig, wie kann sowas ein Hit werden? Definatley my favourite song at the moment I have to listen to it more than once it is just AMAZING!!! Half way between average and cool. Just what the charts need in 2012. Another bloody song about drinking and how bloody awesome it is. No wonder binge drinking is an epidemic in Australia. The song is lucky to be honoured with the rating of mediocre trash. Surprisingly I don't mind this, but Dev needs to go away. Nagel für dieses ideenlose Machwerk! Recht netter Electro House Song. Bewertet wurde hier der Kryder Remix. Die Melodie gefiel mir bei "Hear My Sound" deutlich besser! No wonder Australia has a drinking problem. Similar to 'Like a G6', but much worse. Ich mag nicht mehr... kann mich bitte mal jemand fünf Jahre in die Vergangenheit beamen, damit ich diese Saufmusik verhindern kann, die in den letzten Jahren die Charts überschwemmt? Was soll ich dazu noch sagen? Langweilig und uninteressant. Jo. Naja, es geht noch bescheidener. Naja, eigentlich 08/15-Song, von dem man schon viel gleiches und besseres gehört hat, aber schlecht ist's nicht. Irgendwie macht das "Hey Hey Hey" den Song sogar noch ziemlich catchy... kommt mir aber auch SEHR bekannt vor (Kid Cudi - Memories?). Ruft zum unkontrollierten Alkoholgenuss auf. Ich bin empört!! So bloody boring! I can get into the beat but the vocals are so uninteresting. Lyrically it's just blah too. Very uninteresting dance track and it's such a disappointment to see such a mediocre one have the success this had. How about we don't pop another bottle? Australians unfortunately have a drinking culture. Heheyhey pop the f*ck off! I adequately avoided this back in 2012 and like it no better today. David Guetta's und Kid Cudi's "Memories" auf einprägsame Weise etwas seichter und leicht bekömmlicher komponiert! Finde ich aber äußerst gut gelungen, die Interpreten (Kid Cudi Sound-Alike und Dev) wirken auch gut auf der Produktion! Knappe 5*!